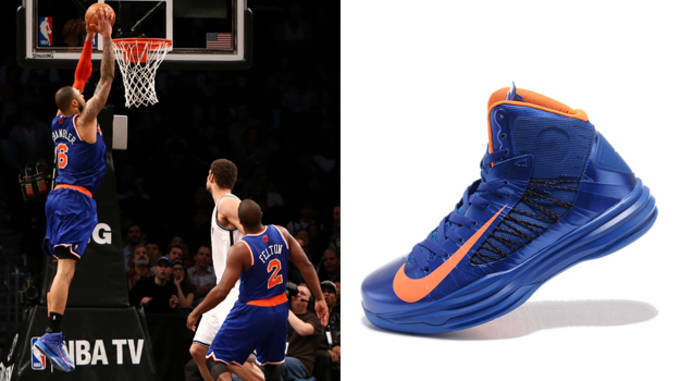 The Nike Hyperdunk was the basketball shoe of 2012. Nearly every sneaker claims to be innovative, but few actually change the game. With the Nike+ technology measuring your quickness, hustle, vertical and other athletic abilities, the Hyperdunk 2012 literally had the potential to help you become a better athlete. We were all mind-blown. Even if you hooped in the kicks without the Nike chip, there innovations were evident. The Lunarlon midsole cushion absorbs impact without weighing its wearer down, the FlyWire upper gives the shoe a secure, yet lightweight fit and the little details about the shoe, like the multidirectional traction pattern and pivot circle on the sole, reinforce the fact that this shoe was made with nothing else but optimal performance in mind. 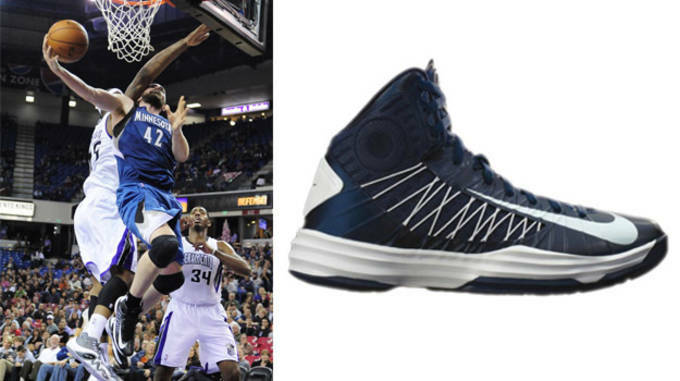 It is easily the most worn shoe in the NBA this season and with good reason. 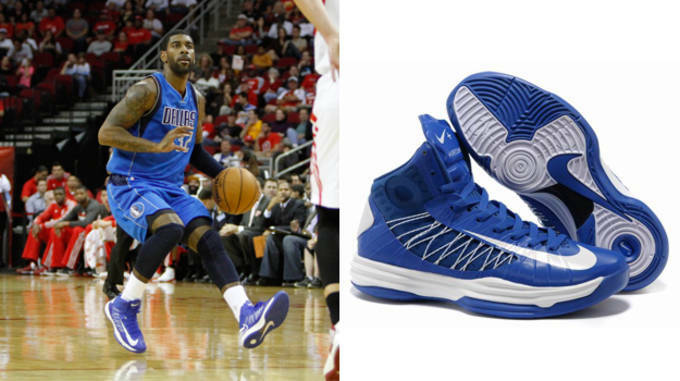 Youngin’s like Kyrie Irving to vets like Tyson Chandler have been rocking them, which demonstrates how different features on the Hyperdunk 2012 uniquely aides each player. 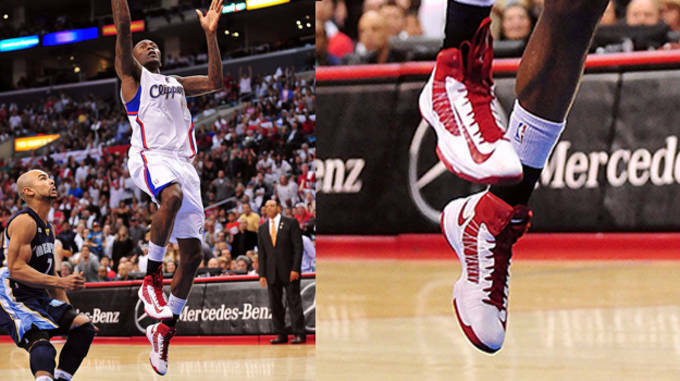 Check out The 10 Best Performances in the Nike Hyperdunk 2012. Timing is everything and no one at Nike could have planned a better time to introduce the new Hyperdunks on LeBron than at this summer’s Olympic Games. After winning his first NBA title, he came through for the Red, White and Blue in what turned out to be its closest game before the elimination rounds. Trailing 82-80 with four minutes to go, LBJ scored nine of his 20 points and displayed the functions of the Hyperdunk with aggressive attacks to basket, controlled by the traction on the soles and FlyWire on the upper. The Lunarlon was stressed to the test and lived up to its hype (get it?) every time LeBron returned to hardwood after a thunderous jam. Like Dirk in Germany and how Yao was for China, Pau Gasol’s on court excellence has made him the face of his Olympic team. Have to tip your hat at his performance in the Gold Medal game against Team USA. His near triple-double may not be talked about as much Carmelo’s 37 point outing, or the nightly production from KD and Co., but he lived up to the old saying of leave it all out there on the floor. 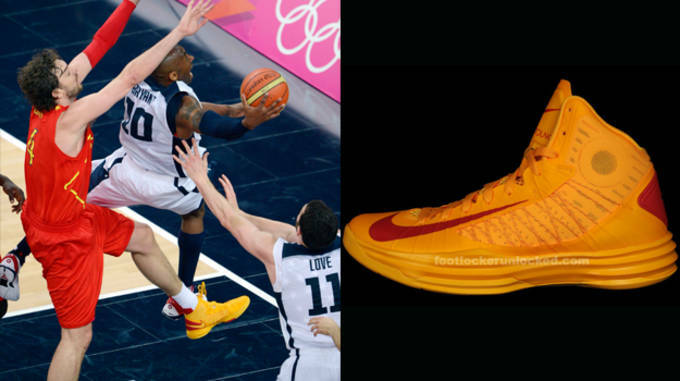 People did take notice, however, of the Hyperdunk 2012 colorway he and brother Marc Gasol were rocking for Team Spain. 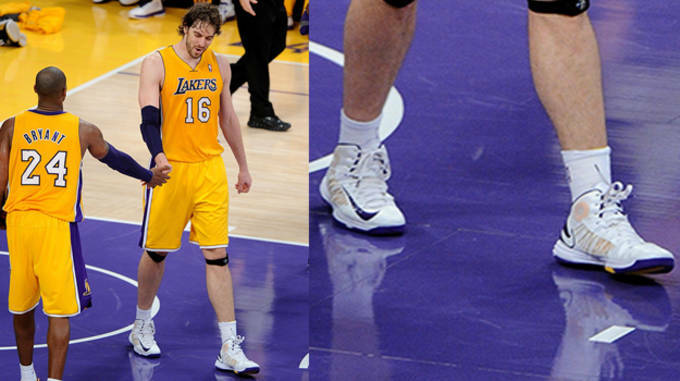 LeBron demonstrated the shoes capabilities for an all around player, but Pau put on for the dudes in the post. The lightweight FlyWire upper definitely kept this big man’s first step on the agile side while he gave out the work to opposing forwards. No one player per se rocks the Hyperdunk 2012 as a signature shoe, but there isn’t a better poster child for them than Kyrie Irving. He’s young, he’s unafraid and he’s even made post-LeBron Cleveland a watchable team again. Uncle Drew is a play-first point guard, meaning that while he can a) get buckets and b) make unreal passes, he reads every situation and makes the right basketball play. 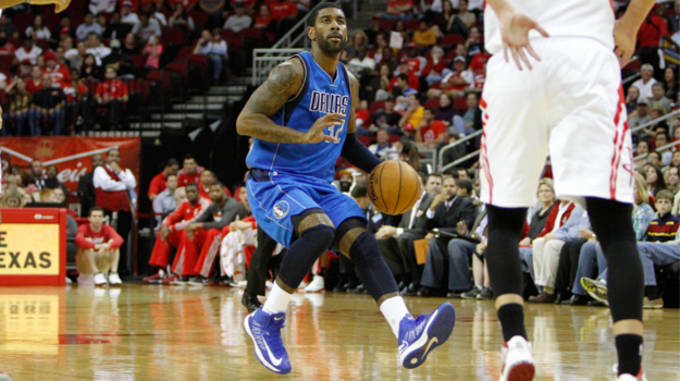 Whether that means scoring on his defender or dishing for the assist, Kyrie goes to work. 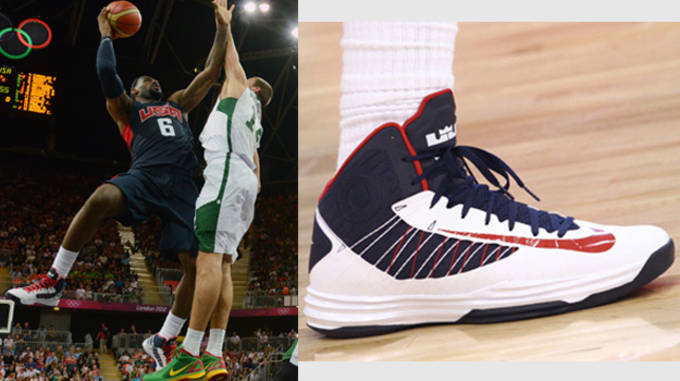 Seeing as how he has so many responsibilities, the Hyperdunk 2012 is the best shoe for him because it allows its wearer to utilize more than one or two things. Dropping his (then) career high, a total he’d pass in his next return to New York, Kyrie put the swindle on defenders with this move using the traction pattern on the sole to regain his footing. Sometimes change of scenery brings new energy, right? For Jamal Crawford, hitting L.A. must have been like giving a 5 hour energy boost to the Honeycomb cereal mascot. Straight out the gate, Crawford delivered off the bench for the Clippers as a sign of things to come this season. The Grizzlies are a top team out West and with guys like Tony Allen in the lineup, match up well with anyone on defense. But no one can stop Crawford from scoring once he’s on a hot streak. His 29 in 30 minutes came from all over the floor (he hit one from 27-feet out that night) and is a testament to just how versatile the Hyperdunks are. Crawford hit pull-up jumpers and attacked the basket, utilizing the traction patterns to stop with ease in defenders faces. He’s shown little sign of letting up and might be already be a lock for his second 6th Man of the Year award. Whether it’s 10 years or 20 years from now, most people won’t remember the score of the first meeting of the New York Knicks and Brooklyn Nets. But they will remember that Brooklyn struck first in what should shape to be one of the league’s best rivalries. Honestly, anyone on the NYK roster that isn’t named Carmelo Anthony or Tyson Chandler should probably put this game in the back of their memory, anyway. No one outside of that duo scored in double-digits. Known more for eating everything on defense, Chandler was a monster offensively. He scored his career high on 12-for-13 shooting and grabbed 10 boards to boot. Tons of dunks went down for him that night and thanks in part to the FlyWire upper and Lunarlon midsole, Chandler was able to securely land. 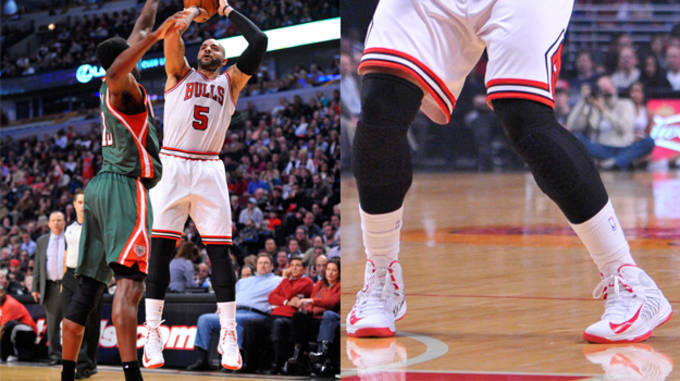 Carlos Boozer is the best Bulls sidekick since Scottie Pippen. No debates. Think about it, who was the number two option when Derrick Rose was healthy? That’s right, Carlos Boozer. And now that Joakim Noah has become the substitute face of the franchise, who’s still playing his position? Good ol’ Boozer, that’s who. Now we’re not saying he’s in any way, shape or form as good as the greatest second banana ever, but he is the best Robin to a Batman the Bulls have had since the late 90’s. Every so often, Robin has to take the lead and Boozer had no problem giving out the POWs, WHAMs and ZOOMs in the form of 22 and 19. He’s not exactly the quickest big in the league, making the Lunarlon cushioning the most important feature for him. The soft landings on his set shots keep Boozer in the lineup, which is important for Chicago. The last thing they need is another key injury. Following in the phenomenal footsteps of his media prep-star predecessors like Kobe and LeBron, O.J. Mayo was dubbed that dude by age 16. If we’re talking about impactful high school careers, there’s no way Mayo’s name doesn&apos;t come up. But until this season, his relevance seemed to have peaked in his past. In the absence of Dallas’ leading man, Dirk Nowitzki, Mayo has been putting up All-Star (snub) type numbers for the first time in his career and this 40 spot against the Rockets was like the stamp to seal his spot as an impact NBAer. The Hyperfused upper suits Mayo’s game, providing security whenever he uses his lightning like first step and pull-up jumper. By now we all know what Kevin Love is capable of, but the biggest question regarding the walking 20 and 20: Is Love the best power forward in the game right now? With Duncan and Dirk on the decline and DeMarcus Cousins still, umm… developing, his only competition is Blake Griffin. And Blake is borderline lucky to grab to 20-15, but a 20-20 game from Love has become as normal as a Sportscenter Top 10 from the Clippers front man. The Lunarlon Midsole is the best technical fit to soften Love’s huge frame when his foot hits the hardwood, but technically this isn’t his shoe. These are. Stats: 41 points, five rebounds, five assists. Game: 1215/12 L @ Madison Square Garden. LeBron James, Kobe Bryant, Michael Jordan. All generational icons of the game and each, in their own way, owned the game’s stage when they hit the Mecca. Kyrie Irving has a helluva long way before his name can truly be uttered in the same breath as these three, but he’s on the right path by the looks of his early career. There’s something about playing in New York (as a New Jersey native who’s pops is a bit of a playground legend from the Bronx, Irving understands this). 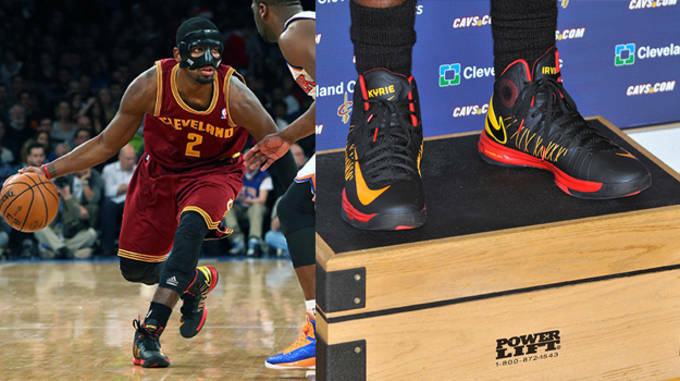 Kyrie has killed before at MSG, earning MVP honors in the Jordan Brand Classic back in 2010, but his 41 points against the Knicks is a definite benchmark in his career and solidified him as the marquee player in for the Hyperdunk 2012’s. 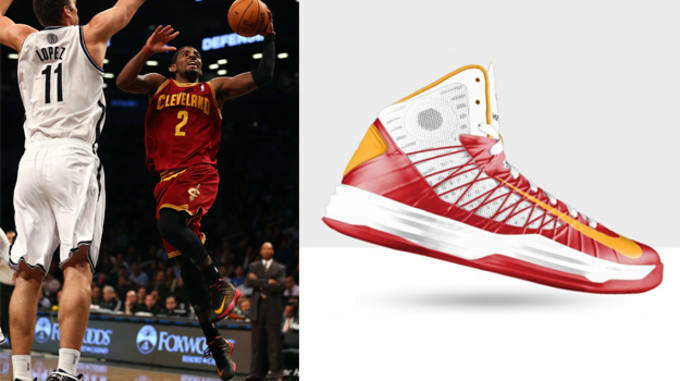 The kicks can withstand just about anything a player can throw at them and with a combination of hops (absorbed by the lunar midsole), quickness and speed (protected by FlyWire), Irving hit them and the Knicks with his best punch.